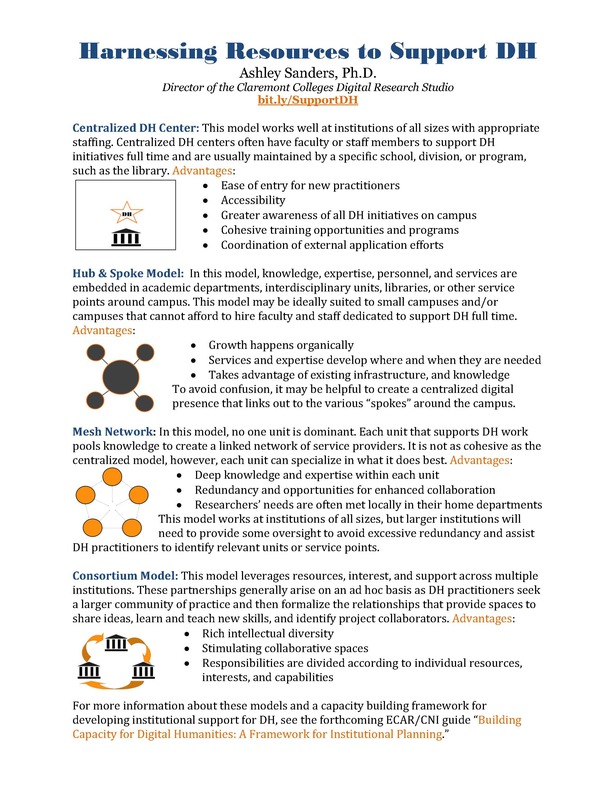 Many of these ideas, suggestions, and models come from my experience leading DH Center planning workshops and visioning retreats, as well participation in with the ECAR/CNI DH working group, whose goal is to create a maturity framework and practical guide for colleges and universities seeking to support Digital Humanities. The resulting paper, “Building Capacity for Digital Humanities: A Framework for Institutional Planning,” is now available! 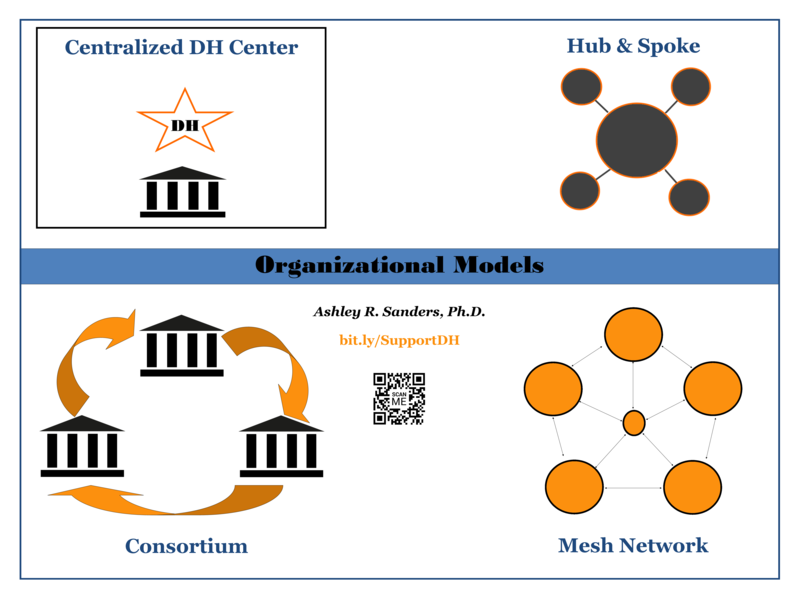 The accompanying handout for this poster presentation offers prompts and detailed explanations of the organizational models to help you further your own DH Center. You can either download it or view it below. 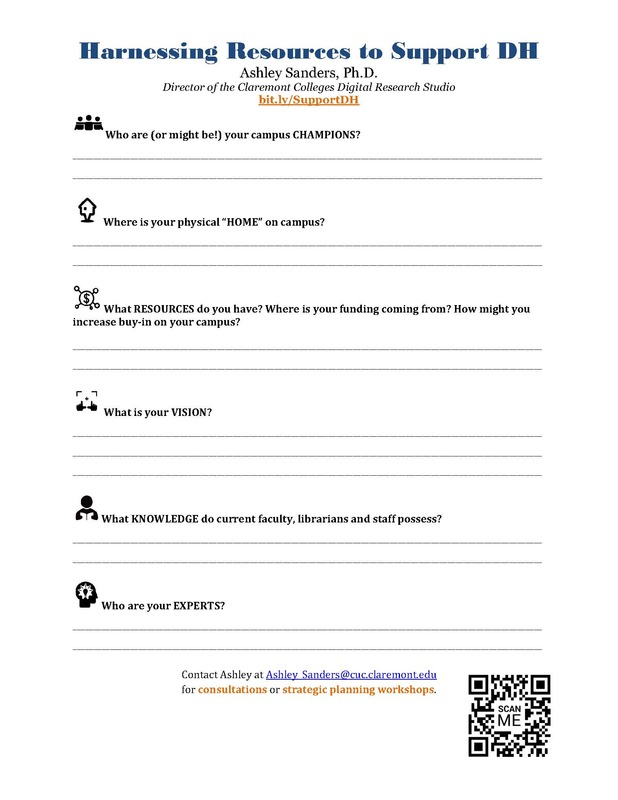 Following the handout are additional resources that you may find helpful. If you are interested in a planning workshop or retreat tailored to your campus community’s needs and desires, please contact me at ashley_sanders@cuc.claremont.edu. I look forward to working with you! 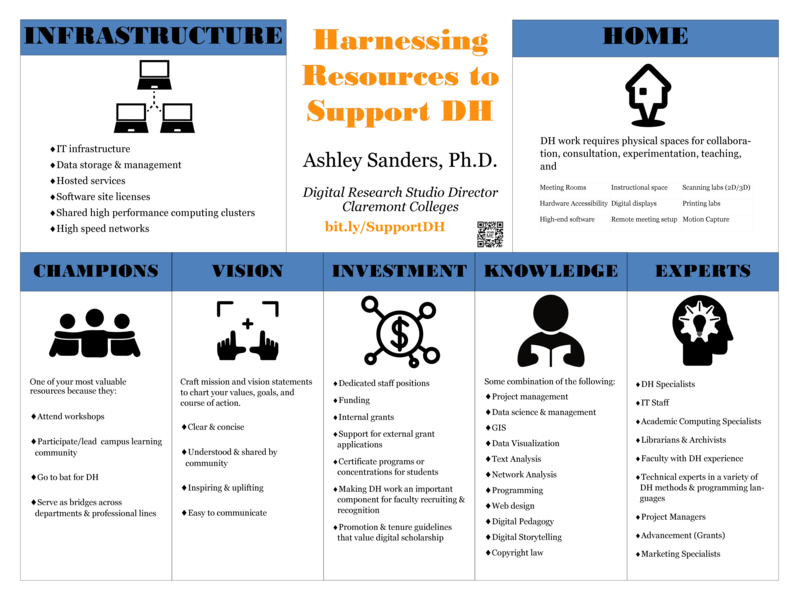 Supporting Digital Humanities: Report of a CNI Executive Roundtable Held Dec. 7 & 8, 2014 (May 2016); See also What We Heard at the Roundtable: Transcript of a Project Briefing, CNI Fall 2014 Membership Meeting, Dec. 9, 2014.